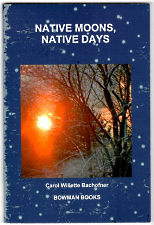 Abenaki poet Carol Bachofner's new book is out!--thanks to the inimitable Joe and Jesse Bruchac (Abenaki), and their publishing venture, Bowman Books. Daughter of the Ardennes Forest (2007) was a slim but powerful chapbook honoring her father's military service. Breakfast at the Brass Compass (2009) paid tribute to a favorite cafe in Carol's hometown of Rockland and the landscapes nearby. I Write in the Greenhouse (2011), also place-based, contains more poems about Maine and its people, including Andrew Wyeth and Edna St. Vincent Millay. into the streams, into our wombs to wait. 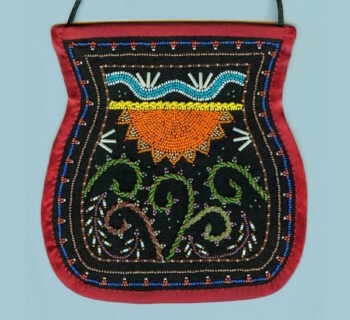 I'd like to invite anyone who's interested to join a discussion of Native Moons, Native Days in our Indigenous New England reading group on goodreads.com. We can start after the New Year, though the group's discussion remains on goodreads for as long as people want to keep reading and posting. Carol herself has been known to show up there! 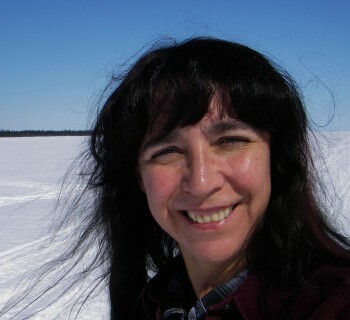 You can learn more about Carol on her own website. Happy holidays!